There are four bands with the name Aegis. Aegis 1: They are to the masses what Side A is to the yuppies; indeed, they are reaching a far greater, wider market than any other band in the Philippines today. We're faced with all the 6 members of the Aegis Band, five girls and a man, whom the girls tease as already being like one of them. Of course, they're just kidding. Andrew Peterson has earned a place as one of Christian music’s most respected singer/songwriters, crafting music that splits the difference between groundbreaking folk-rock band Caedmon’s Call and the late, great Rich Mullins. His string of artistically excellent records began with the top 10 radio single “Nothing To Say,” and includes the lush Love & Thunder, Easter-themed Resurrection Letters, Vol. Billy McLaughlin is an acoustic guitarist, composer and producer from Minnesota, United States. Billy McLaughlin graduated with honors from the University of Southern California. He now resides in his home state of Minnesota where he is raising his two boys. While studying music at the University of Southern California, he became interested in the minimalist compositions of Phillip Glass and Steve Reich. Ernie is best known as the 10 year tenor of the Cathedral Quartet, but he has also sung with Squire Parsons & Redeemed, The Dixie Melody Boys and others. After the Cathedrals retirement, he started a group called Old Friends Quartet, where he sang part time with Jake Hess, George Younce, Wesley Pritchard, and Garry Jones. Due to George & Jake's health, many of those concerts were done with Mike Allen filling in for George, and Wayne Pritchard filling in for Jake. 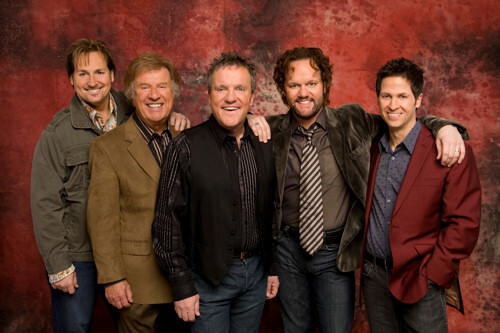 Ernie started getting the quartet bug, and formed Ernie Haase & Signature Sound with Garry Jones in late 2002. George Winston grew up mainly in Montana, and also spent his formative years in Mississippi and Florida. During this time, his favorite music was instrumental rock and instrumental R&B, including Floyd Cramer, the Ventures, Booker T & The MG’s, Jimmy Smith, and many more. Inspired by R&B, jazz, Blues and rock (especially the Doors), George began playing organ in 1967. In 1971 he switched to the acoustic piano after hearing recordings from the 1920s and the 1930s by the legendary stride pianists Thomas “Fats” Waller and the late Teddy Wilson. John Charles McDermott is a Scottish-Canadian tenor best known for his rendition of Danny Boy. Born in Glasgow, Scotland on March 25, 1955, John moved with his family to Willowdale, Ontario, Canada in 1965. Growing up in a musical family, his only formal musical training was at St. Michael's Choir School in Toronto, Ontario in 1971 and 1972. Johnny A. is a guitarist, born in Malden, Massachusetts. Growing up in Boston as a young child, he became interested in music, starting with drums at age 6. Upon being exposed to The Beatles in 1964 (age 12), Johnny bought a $49 Lafayette Electronics guitar and started his life-long affair with the instrument. Keiko Matsui (松居慶子), born in Tokyo as Keiko Doi on July 26, 1961, is a Japanese smooth jazz/new age pianist and composer whose music and sophisticated elegance have propelled her to success and established a cult following among her fans. A prolific recording artist, Matsui's career spans three decades, during which time she has released twenty CDs (in addition to various compilations) and has received international acclaim. Lorie grew up in Reno, Nevada and was born with "perfect pitch." She has been playing the piano since age 5 and as a child prodigy, she won many annual Statewide piano competitions. Classically trained, she graduated from the University of Nevada, Reno with a BA in Music, Piano Performance. In 1986, she married Tim Line, moved to Minneapolis and landed the perfect job, serenading shoppers at the piano for Dayton's department stores. Take 6 is an influential American a cappella gospel music sextet formed in 1985 on the campus of Oakwood College in Huntsville, Alabama. The group sings in a contemporary style, integrating R&B and jazz influences into their devotional songs and has 10 Grammy wins, 10 Dove Awards, one Soul Train Award and two NAACP Image Award nominations. They won Grammy Awards in 1989, 1990, 1991, 1995, 1998, and 2003 and have collaborated with Stevie Wonder, Whitney Houston, Don Henley, Ray Charles, Queen Latifah, Joe Sample, Quincy Jones, Marcus Miller and Gordon Goodwin. Vernon Reid (born August 22, 1958) is a guitar player, perhaps best known as the founder and primary songwriter of hard rock group Living Colour. He was named #66 on Rolling Stone's 100 Greatest Guitarists of All Time. Reid is probably best known for leading Living Colour. He founded Living Colour in New York City circa 1985 and piloted the band through a successful career. Yolanda Adams (born Yolanda Yvette Adams on August 27, 1961) is an American Grammy and Dove-award winning Gospel music singer and radio show host. The oldest of six siblings, Adams was raised in Houston, Texas. She graduated from Sterling High School in Houston in 1979. After graduating from University of California Berkeley, she began a career as a schoolteacher and part-time model in Houston, Texas.